The premier of our video “Kick the Kickbacks” in Chicago. 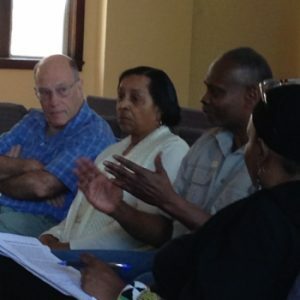 On Saturday, May 23, we screened our video “Kick the Kickbacks” at the Little Village Community Church in Chicago. We were fortunate to be joined by Mariame Kaba, of Project NIA, as well as members of the Chicago chapter of Black and Pink. After the screening, we had a panel with some of those in the video including Greg Gaither, Mary Haywood-Benson, and James Kilgore. There was also a performance by formerly incarcerated spoken word artists Edmund Buck and Dorleena Kolakowski. 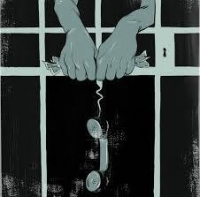 In discussion, we talked about how expensive phone calls were emblematic of the larger prison industrial complex which seeks to profit from the misery of those behind bars and their families. We also came up with ideas of how we could build more ties between those in Chicago and those of us downstate.